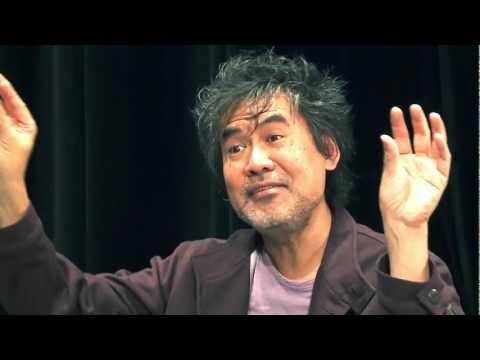 Few writers have turned issues around ethnicity and identity into a widely acclaimed and award-winning career like David Henry Hwang. This Chinese American playwright, described by the New York Times as "a true original" and by Time Magazine as "the first important dramatist of American public life since Arthur Miller," is best known as the author of M. Butterfly. That enduring 1988 work, which won a Tony Award, Drama Desk Award, John Gassner Award, and Outer Critics Circle Award, was also a finalist for the Pulitzer Prize. To date, M. Butterfly has been staged in over four dozen countries and was the basis for a major motion picture. 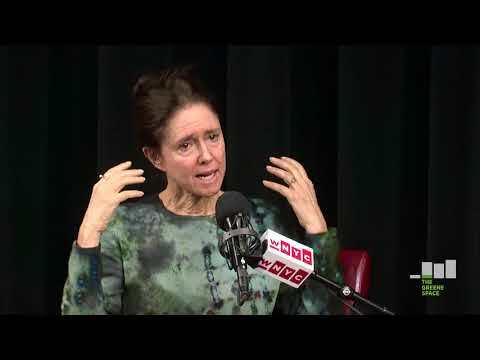 In late 2017, M. Butterfly was revived on Broadway, directed by Julie Taymor. His newest “play with music,” Soft Power, with composer Jeanine Tesori (Fun Home), directed by frequent collaborator Leigh Silverman, premiered in spring 2018 at Los Angeles’ Ahmanson Theatre and will open in New York in 2019. Soft Power received six L.A. Ovation Awards in 2019. To describe Hwang as a major American dramatist is something of an understatement. His play, Golden Child, premiered Off-Broadway at the Joseph Papp Public Theater, received an Obie Award, and subsequently played on Broadway, where it received three Tony nominations. Yellow Face, which premiered at Los Angeles’ Mark Taper Forum and New York's Public Theater, also won an Obie Award, and was a finalist for the Pulitzer Prize. In 2018, Yellow Face was named one of the best American plays of the past 25 years by the New York Times. Chinglish premiered at Chicago’s Goodman Theatre, where it won a 2011 Jefferson Award for Best New Work, before moving to Broadway and being named Best New American Play of 2011 by Time Magazine. Other plays from his 30 year career include FOB (Obie Award), The Dance & the Railroad (Drama Desk Nomination, CINE Golden Eagle Award), and Family Devotions (Drama Desk Nomination). According to Opera News, Hwang is America’s most-produced living opera librettist. He has written four works with composer Philip Glass, including 1000 Airplanes on the Roof, while other of his libretti have been performed at the Metropolitan Opera, Santa Fe Opera, Bavarian State Opera, Lincoln Center, Spoleto Festival USA and elsewhere. The Deutsche Grammofone recording of his libretto for Ainadamar won two Grammy Awards after having spent time at the top of Billboard magazine’s classical music charts. An American Soldier, with music by Huang Ruo, premiered as a one-act at the Kennedy Center in June 2014, then was expanded into a full-length version which debuted at Opera Theatre of St. Louis in 2018, and was included in the New York Times’ Best of Classical Music for 2018. He also wrote the libretto for Dream of the Red Chamber, with a score by Bright Sheng, which premiered at San Francisco Opera, before traveling to the Hong Kong Arts Festival and a four-city tour of China. Hwang's Broadway musicals include a new book for Rodgers & Hammerstein's Flower Drum Song, which earned him a Tony nomination for Best Book, and Disney’s Tarzan, which played on Broadway and ran for twelve years in Europe. Hwang also co-wrote the book for the international hit Aida, with music and lyrics by Elton John and Tim Rice, which won four Tony Awards and ran over four years on Broadway. Hwang's screen work is just as notable. Since 2015, Hwang has been a writer and Consulting Producer for the Golden Globe-winning TV series The Affair. He penned the screenplay for M. Butterfly, a Warner Brothers release directed by David Cronenberg; Golden Gate, directed by John Madden; and Possession (co-author), starring Gwyneth Paltrow. He is currently writing the movie adaptation of Chinglish for producer Mark Platt. In 2013, his Yellow Face became the first major play to be adapted specifically for YouTube, produced by Justin Lin. He is currently penning Tiger Empress, an animated feature for Pearl Studios in Shanghai, as well as the live-action musical feature adaptation of The Hunchback of Notre Dame for Disney Studios. A native of Los Angeles, Hwang attended Stanford University and the Yale University School of Drama. In 1993, the nation’s oldest Asian American theatre, East West Players, christened their new mainstage The David Henry Hwang Theatre. From 1994–2001, he served by appointment of President Bill Clinton on the President's Committee on the Arts and the Humanities. Hwang has received the William Inge Award for Distinguished Achievement in the American Theatre, the Asia Society Cultural Achievement Award, the PEN/Laura Pels Award for a Master American Dramatist, as well as the Steinberg Award for playwriting, the largest monetary prize in the American theater. Hwang succeeded Athol Fugard as the Residency One Playwright at New York City’s Signature Theatre, which produced a season of his work, including the world premiere of his play, Kung Fu, about the iconic martial artist Bruce Lee. 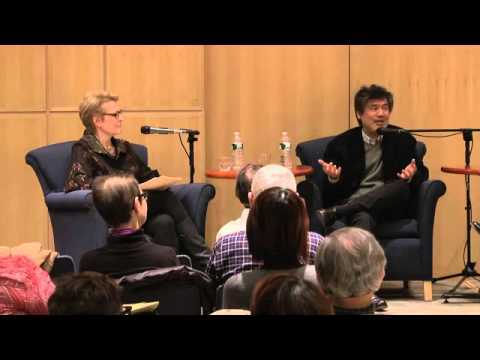 In 2014, David Henry Hwang was named Head of the MFA playwriting program at Columbia University School of the Arts. Hwang serves on the board of the Lark Play Development Center and as Chair of the American Theater Wing, which founded and co-presents the Tony Awards. In 2018, he was inducted into the Theater Hall of Fame. 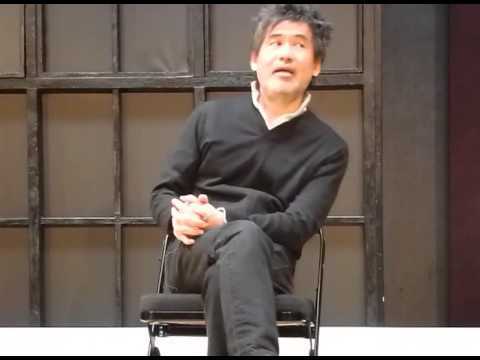 David Henry Hwang lives in Brooklyn. He’s married to the actress Kathryn Layng, and they are the parents of two children.